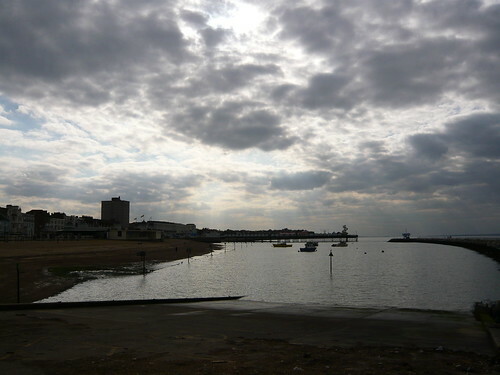 During the holidays we travelled down to Kent and spent a few nights in a caravan at Romney Sands. 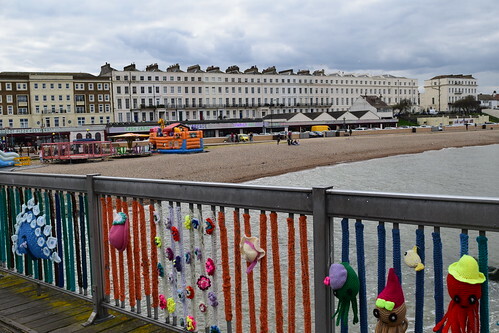 On our way down to Romney, we stopped off at Herne Bay and checked out the arcades. 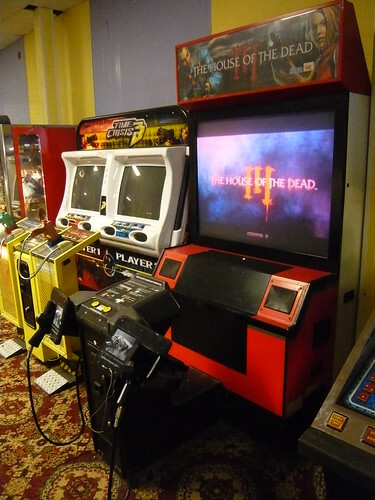 Located close to Herne Pier, this arcade has a good selection of the latest releases as shown at EAG Expo 2017, including Cruis‘n Blast, Space Invaders Frenzy and The Walking Dead. 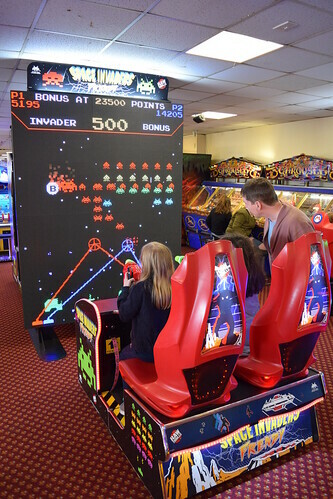 It’s great to see Space Invaders back in the arcades. 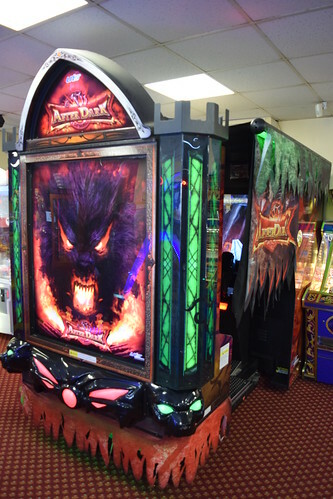 Although it’s more of a ticket redemption game, I love the frantic gameplay and can’t resist a go whenever I see one. 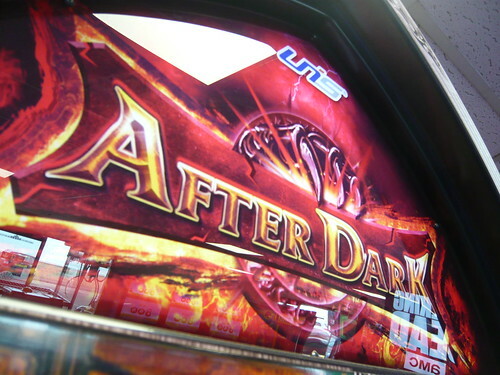 It was the first time I’ve seen After Dark DLX, a fun fantasy-themed shooter released by UNIS / Universal Space in 2013. 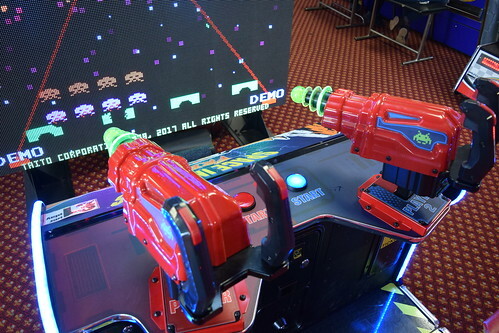 With two gun turrets and a steering wheel for steering / dodging events, the set up is almost identical to Namco’s Dead Storm Pirates. 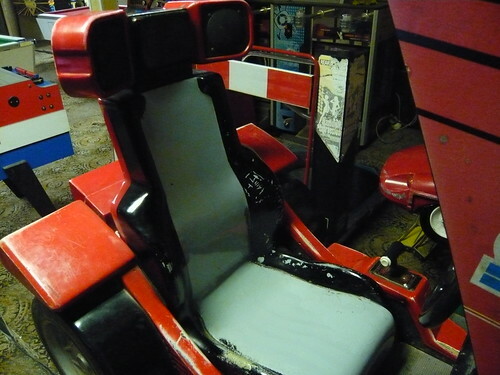 This deluxe version also features a motion seat. 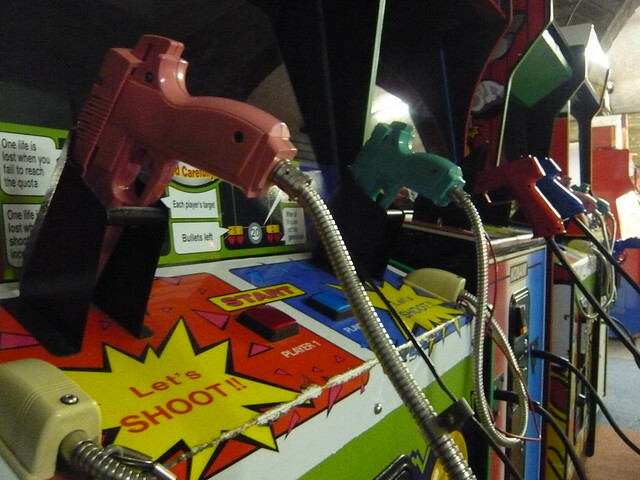 Here is a video of the game. 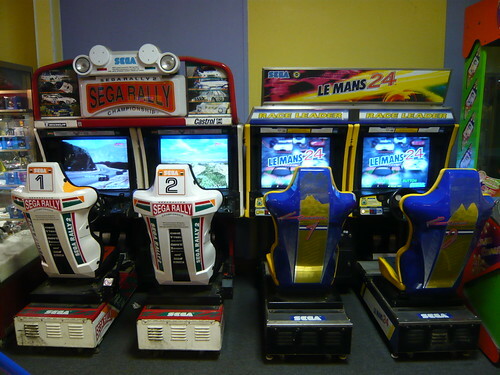 The first machines you encounter in this arcade are Sega Rally 2 and Le Mans 24. 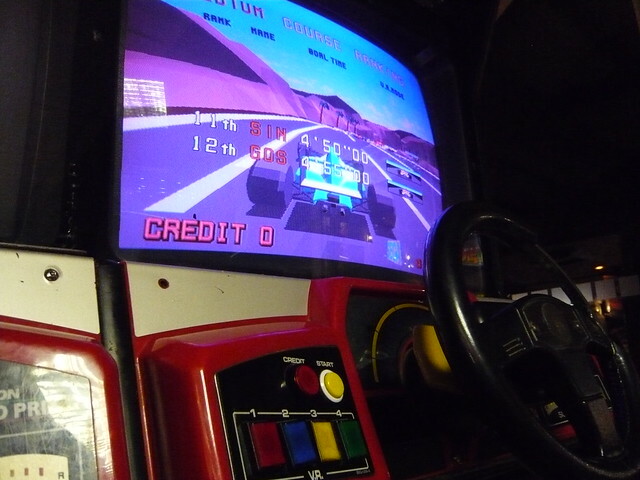 I enjoyed a couple of credits on Le Mans 24, a Sega game you don’t see very often. 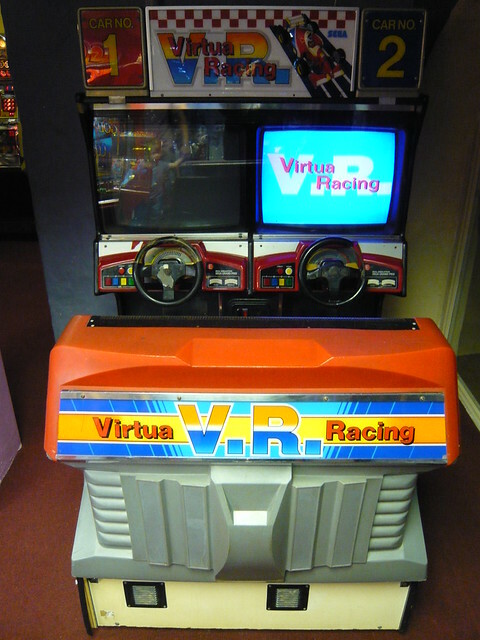 I had a race with my four year old daughter, who ended up driving the wrong way around the track whilst on fire. 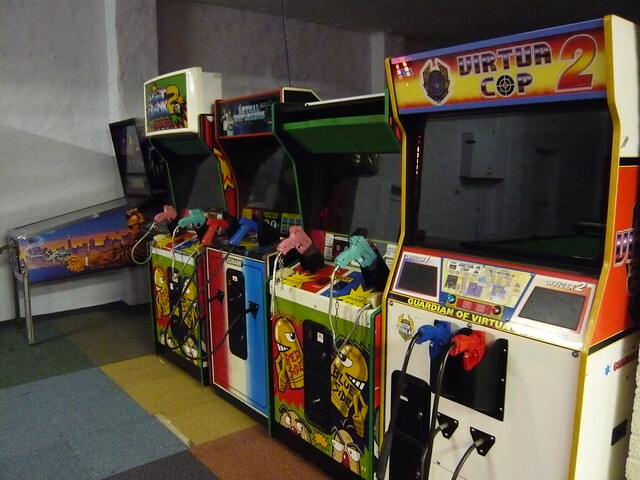 Next up was The House of the Dead III and Time Crisis 3, the latter was switched off. 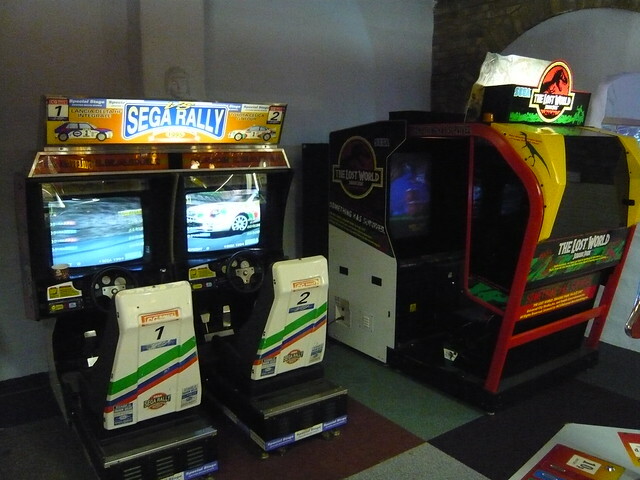 As we headed towards the back of the arcade there were some awesome surprises. 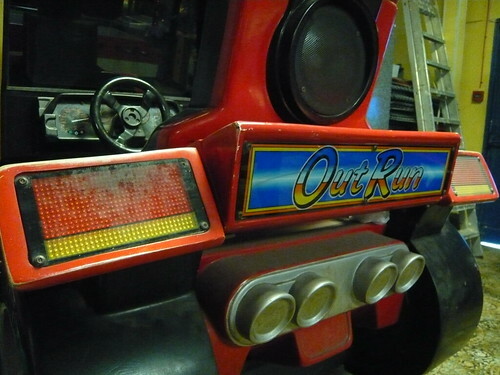 I could hardly believe it, an OutRun DLX! 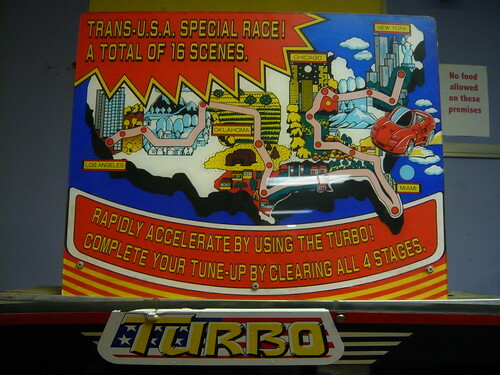 The machine had been converted to Turbo OutRun. 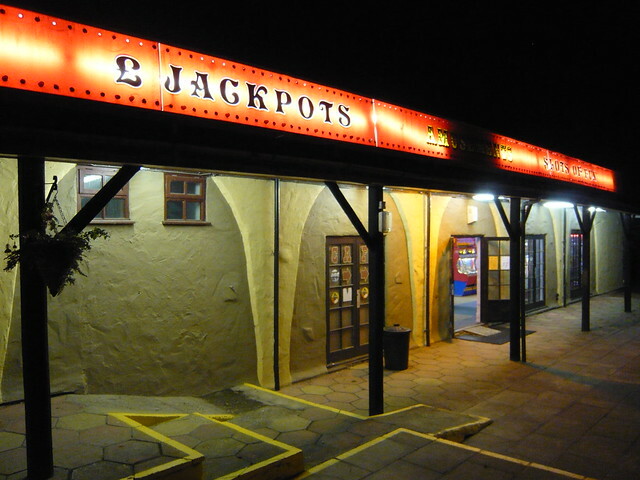 I love the marquee topper and have never seen one of these before. 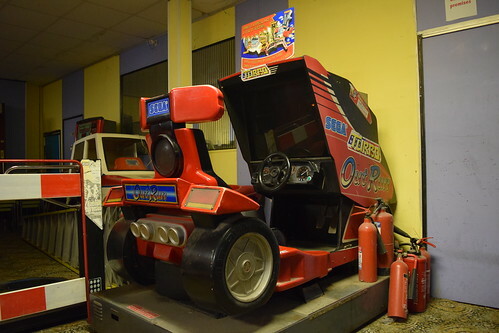 Although it was great to see an OutRun Turbo DLX, it was also a little sad to see it not working and unloved, gathering dust and being used to prop up fire extinguishers. 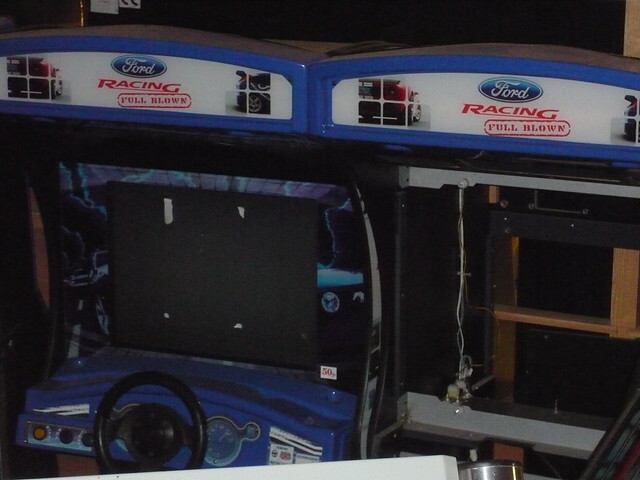 The machine had some cosmetic wear and tear. 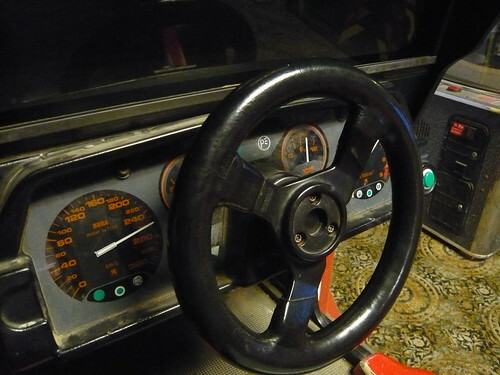 At some point in time ‘Jilly T’ had felt the urge to inscribe her name on the seat. 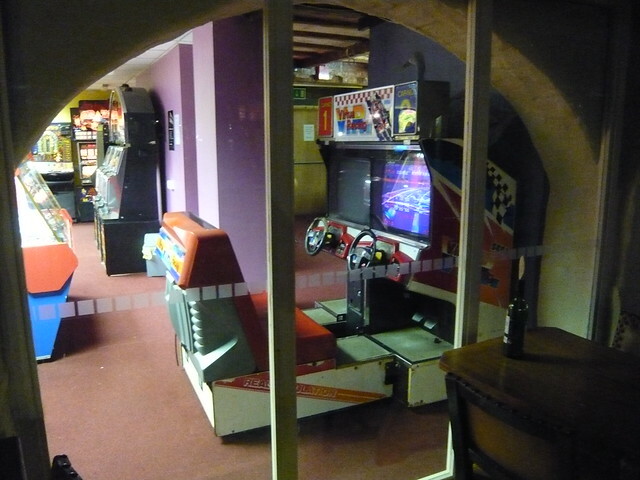 Despite this, I’m sure that with a bit of tlc the machine could be restored back to its former glory. 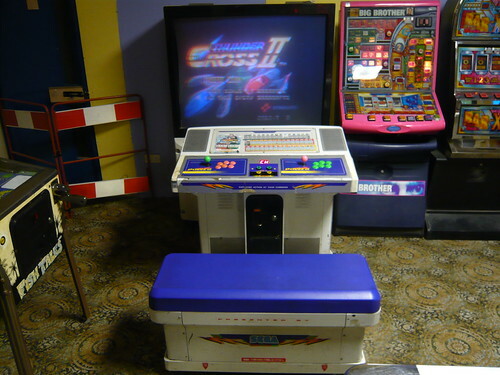 Well I never thought I’d see Thunder Cross II in an English seaside town arcade in 2017! 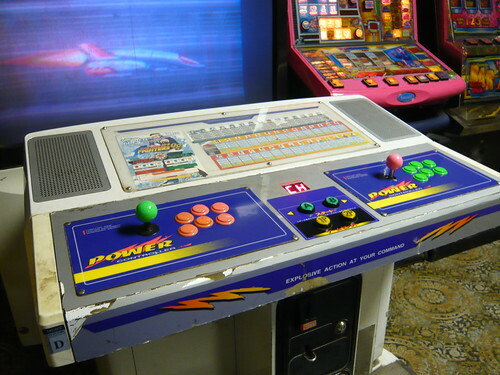 This Sega Super Megalo 2 had a bit of an identity crisis, with Virtua Striker 2 side art, The King of Fighters ’98 instruction strips and Thunder Cross II installed in the cab. 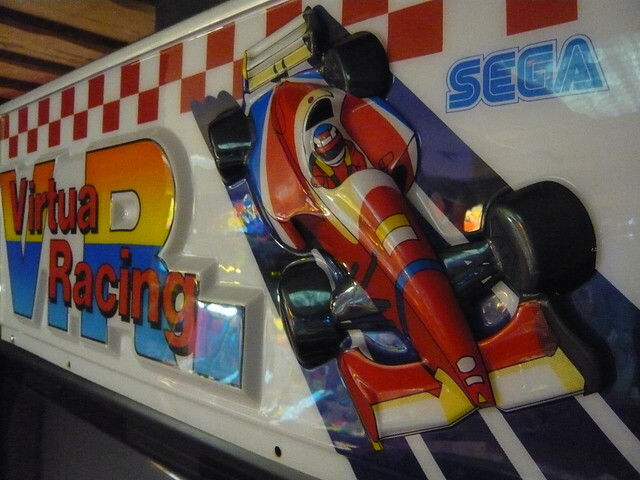 Unfortunately the rear projector screen was damaged and the colours washed out, rendering the game barely playable. 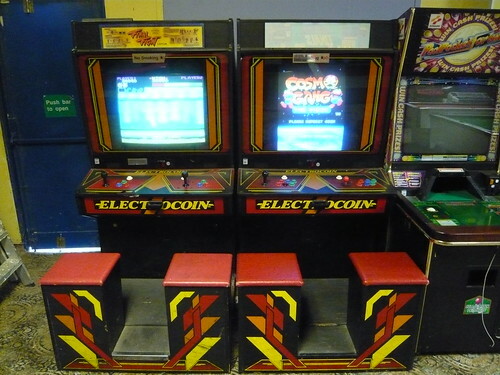 There were two Electrocoin Duet cabinets with Cosmo Gang the Video and Wonder Boy. 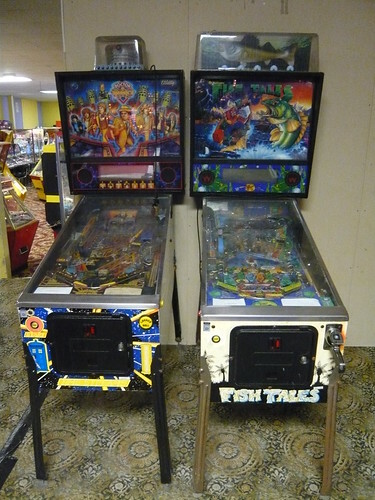 The Dr Who and Fish Tales pinball tables were both switched off. 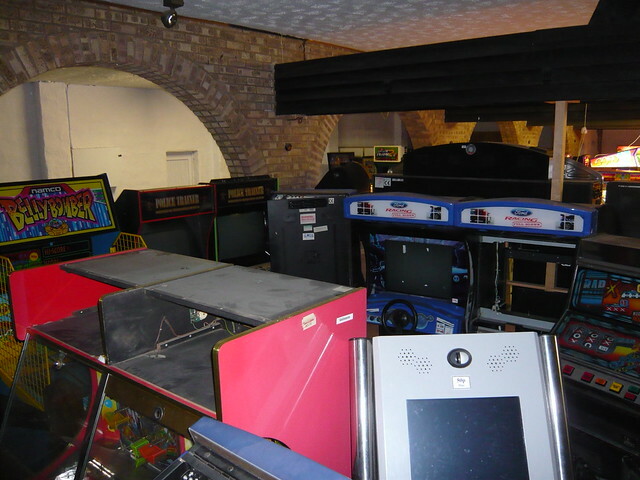 Overall Talk of the Town was a cool arcade with some interesting game titles and machines that you just don’t see anymore, but it was a shame some of the machines were in a bit of a sorry state. 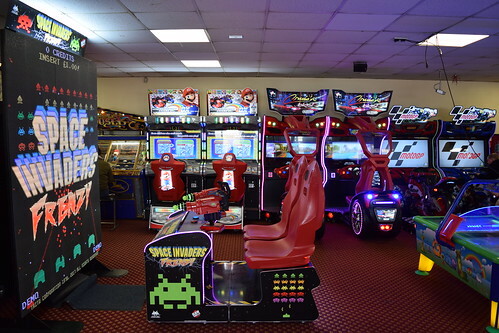 We recently went down to Broad Farm in Fleggburgh, Norfolk to check out a band and see if there had been any changes to the arcade. 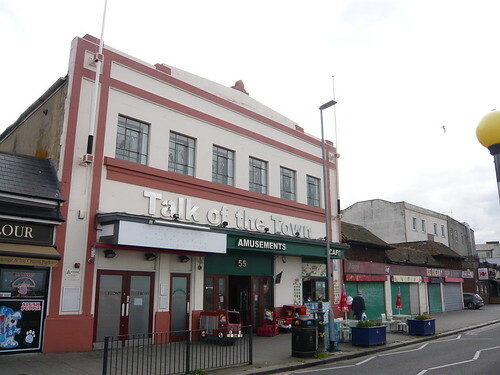 Something has survived! 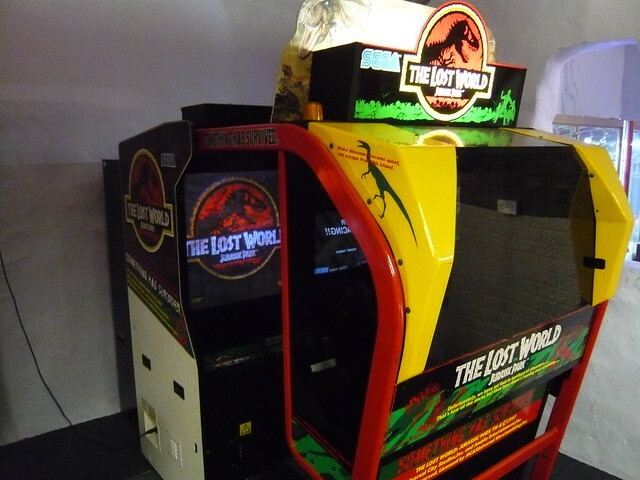 On my last visit The Lost World was out of order, it was nice to see it up and running again. 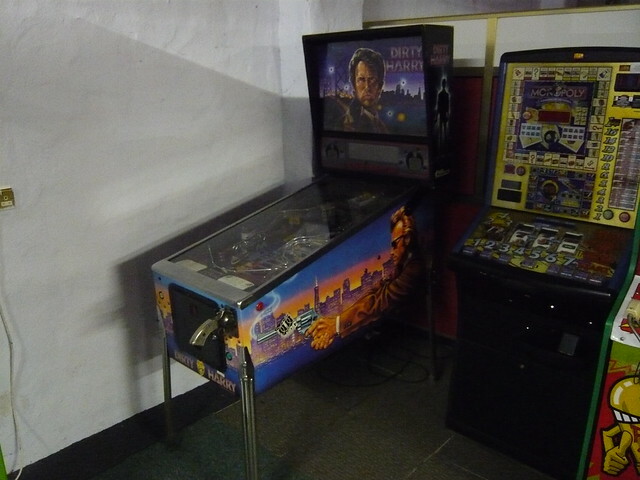 For some reason the shooter line up and Dirty Harry pinball table were switched off. 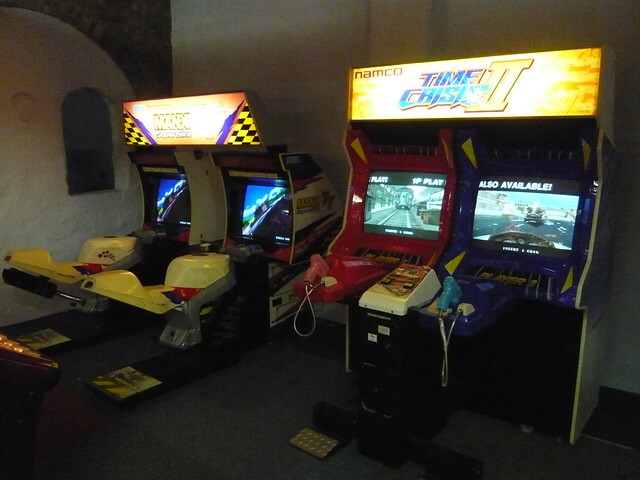 The ‘arcade graveyard’ section remains largely unchanged, although the Crazy Taxi cabinet has gone. 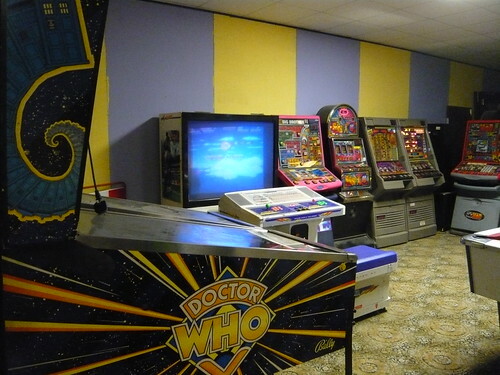 It turns out there is another arcade next to the bar area. 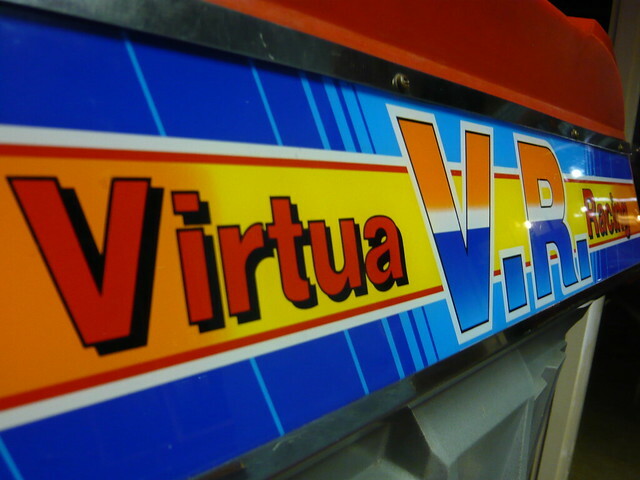 This comprised mostly of fruit machines, but the awesome Virtua Racing was a nice surprise. 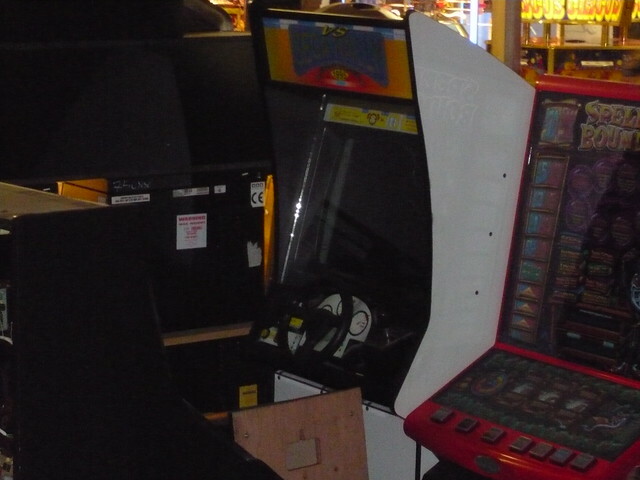 Unfortunately the left monitor wasn’t working and the machine was a little worn around the edges. 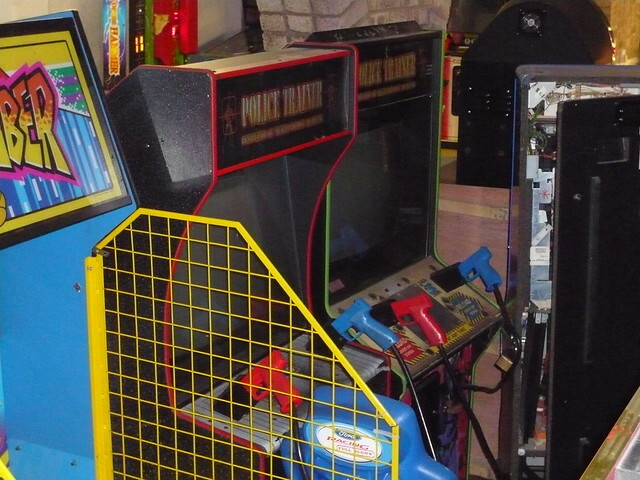 However Sega Model 1 machines are a rare find these days and it was great to see one still being operated. I can’t comment on the band. 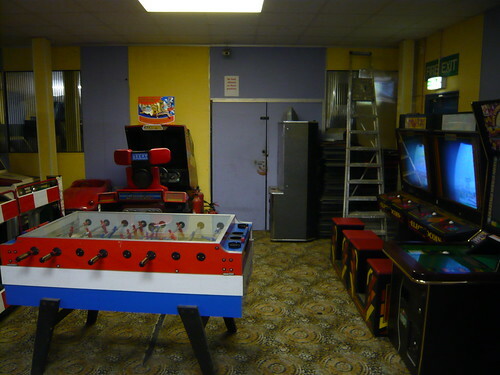 My daughter was getting pretty tired and grumpy, and we ended up going home before they had even finished setting up.